We have achieved impressive success on these primary objectives but the Language Preservation did not materialize until OFW Christopher Gozum joined Patnubay in the late 2008. Direk Chris, as we fondly call him, is an independent Filipino film director who uses filmmaking as a way to preserve and save the Pangasinan language, literature and culture. His award-winning film Anacbanua (Child of the sun) was shot entirely in the province of Pangasinan and is the only full-length movie in Pangasinan language. His experimental film called Lawas Kan Pinabli (Forever Loved) was a finalist at 2011 Cinemanila Film Festival. The film features stories of OFWs in distress. The narration is in Pangasinan language while the languages used for interviews of OFWs are in Cebuano, Tagalog and Pangasinan. Nowadays, the internet is one of the best ways to raise awareness about language preservation and encourage the younger generations to speak their native language. The internet servers can also serve as repository of words of each native language. In 2011, Mr. Dionesio Grava invited me to join Mga Bisaya, an on-line group composed of ”old timers” who are more fluent in Cebuano language. It was in this group that I realized there were so many Cebuano words that I had not spoken before. Please read the topic discussion below for you to understand more why I believe that there is a need for Language Preservation even for a popular language like Cebuano. Leandro D. Quintana: Diony , could someone translate this into Cebuano? wooed and loved, and lost, in many a port. Onward to our journeys, eyes on the prize. In our rewards, relish the joyous moments. Yet it is my Cebu that I ever return to. My Cebu people are lovers of life. Here is a garden of many beauties. Kind and lovely, demure and inviting. ang hinungdan; nga milayas sa yutang natawhan..
usahay magustuhan ug usahay masa-ag sa lain-laing pantalan. Padayon sa imong paglangyaw, pangitaa ang ganti. Tagam-tama ang malipayong takna sa imong kalampusan. Pero mas lami gyud kadtong katabang namo sa Sugbo. mura ug tam-is nga mais. Ninining nataran sa mga maanyag ug matahum. sa kasingkasing minggamot..Dili na gyud ko mobiya pa…..
sa among katabang nga karon tiguwang na. I thought I did well until Atty Lope Lindio posted his own translation. Atty. Lindio’s translation showcases a soulful poem of passion and love; even more than that of the original English version. I was so ashamed of my translation that I wanted to delete it from the thread but I changed my mind; I retained my lousy stuff and even saved the discussion in my hard drive with a hope that someday I could make use such embarrassment for a good purpose. 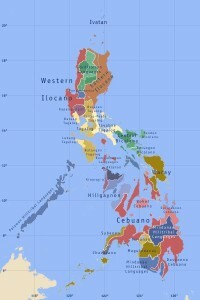 There are thirty (30) languages in the Philippines today facing language death (linguicide). The Cebuano Language, although spoken by around 15 million people, is not spared… (you can see the difference between my translation and that of Atty. Lindio’s). Put the blame on our government and on our educational system for imposing different tongue as medium of instruction in schools. Put the blame on our failing economy that causes people to migrate. Put the blame on telenovelas, social networking sites, text messaging and all these new technologies. And put the blame on us for doing nothing. But wait, we still have enough time! Why don’t we start today and do something to protect these native languages from extinction? If you love your native language (Cebuano, Hiligayon, Waray2x, Surigawnon, Ilokano, Pangasinan, Maranaw, Tausog, Maguindanao, Kapangpangan, Bicolano, etc), please let us join hands for this cause: The Preservation of Philippine Native Languages. You may submit your short stories, essays and poetries in your native language and we will post it here in Patnubay Online. One of Patnubay Online’s objectives is to serve as a repository of words from various Philippine Native Languages. We must do this for the next generation.